"The Great Christmas Light Fight" displays on the Great Lakes! "The Great Christmas Light Fight" displays on the Great Lakes! "The Great Christmas Light Fight" displays on the Great Lakes! Watch these homeowners as they are preparing to create the most dazzling light shows and Santa's villages of their lives. 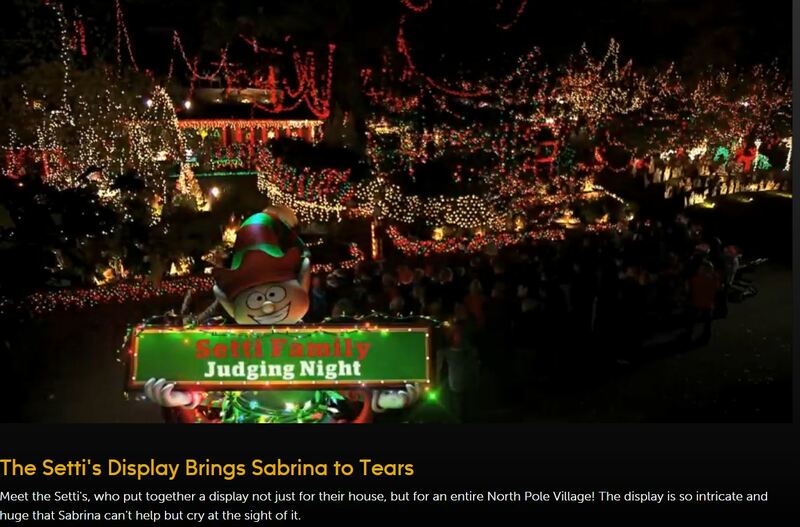 These folks are going to the outer limits in the competition of "The Great Christmas Light Fight" on ABC TV and some of them are using our BlissLights Laser Projectors to add to their amazing displays. Here is the story of a customer of ours, Marcia Hale, who has been doing her display for 15 years and has been adding BlissLights Laser Projectors since 2012 to create this awesome firefly fairy like experience that is open to the public Duluth’s Park Point, Minnesota on the banks of Lake Superior. “It’s a little whimsical and creates a real fairy atmosphere,” Marcia says. In Marcia Hales’ backyard this holiday season, you can expect to see thousands of lights and annual favorites like the penguins. New this year is a laser spotlight that shines “thousands of little green lights” resembling fireflies in the trees. ARE YOUR LIGHTS READY? Here are a few of the many competitors in this passionate competition to create the winning display. Wetheringtons Christmas Village display Setti's Santa's Village Robert's Mega-Tree! Older Marcia Hale's traditional "Holiday Light Fantasy" display. Marcia Hale's traditional "Holiday Light Fantasy" display.